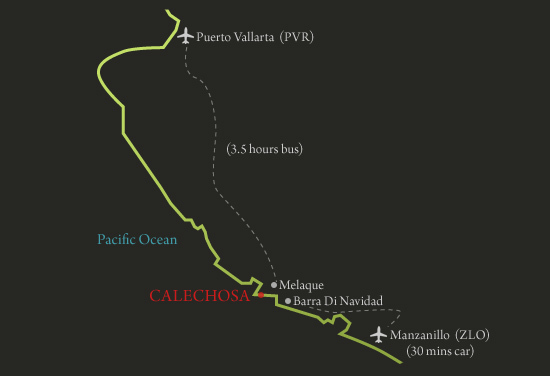 Playa de Oro (Manzanillo) international airport is forty minutes from Calechosa. Charter flights from Canada and the U.S. are available in winter. 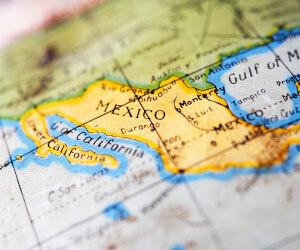 Westjet has announced plans for scheduled direct service to Manzanillo from Calgary, Edmonton and Vancouver. Puerto Vallarta has extensive international service. It can be reached in three and a half hours by first class bus from Melaque; Guadalajara in four hours. Taxi and car rental are available at the airport and in Melaque or Barra.